At the heart of Quality is a constant endeavor to look for ways to improve the effectiveness of the management of the project. The BMP portfolio defines it as the totality of features and inherent or assigned characteristics of a product, person, process, service and/or system that bear on its ability to show that it meets expectations or satisfies stated needs, requirements or specification. In PRINCE2, a product can also be a person, process, service and/or system, so the focus of quality is on a product’s ability to meet its requirements. The ’product focus’ principle is central to PRINCE2’s approach to quality. It provides an explicit common understanding of what the project will create (the scope) and the criteria against which the project’s products will be assessed (the quality). Without this understanding, the project would be exposed to major risks (such as acceptance disputes, rework, uncontrolled change, user dissatisfaction) that could weaken or invalidate the Business Case. Only after establishing the quality criteria for the products and the quality management activities that have to be included in the project’s plans can the full project costs and timescales be estimated. Underestimating or omitting quality management activities is likely to lead to slippages, overspends and/or poor quality results. The Quality theme addresses the quality methods and responsibilities not only for the specification, development and approval of the project’s products, but also for the management of the project. The Quality theme also covers the implementation of continuous improvement during the project – for example, looking for ways to introduce more efficiency or effectiveness into the management of the project and the project’s products. Capturing and acting on lessons contributes to the PRINCE2 quality approach, as it is a means of achieving continuous improvement. Identify ways of eliminating causes of unsatisfactory performance (for example, by introducing process improvements as a result of lessons learned). 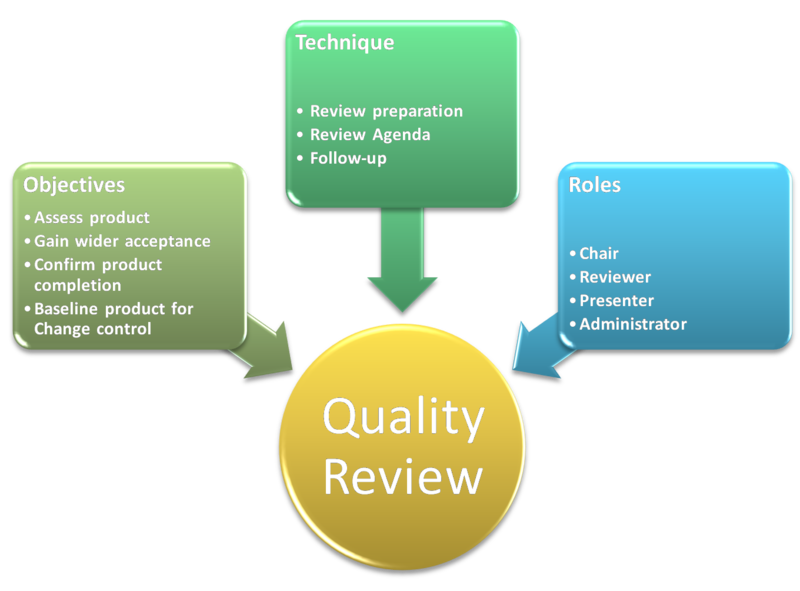 As the activity of reviewing a project’s organization, processes and/or products to assess independently whether quality requirements will be met. Note that, in both senses of the term, quality assurance involves contributions that are independent of the project management team, whereas quality planning and quality control are undertaken by the project. Nevertheless, it is a project management responsibility to ensure that adequate quality assurance is arranged. Quality assurance should not be confused with Project Assurance. Project Assurance refers specifically to the Project Board’s accountability. The Quality Management Strategy is prepared during the Initiating a Project process and approved subsequently by the Project Board. It augments the project approach and can be regarded as the project management team’s proposals in response to the customer’s quality expectations and acceptance criteria. 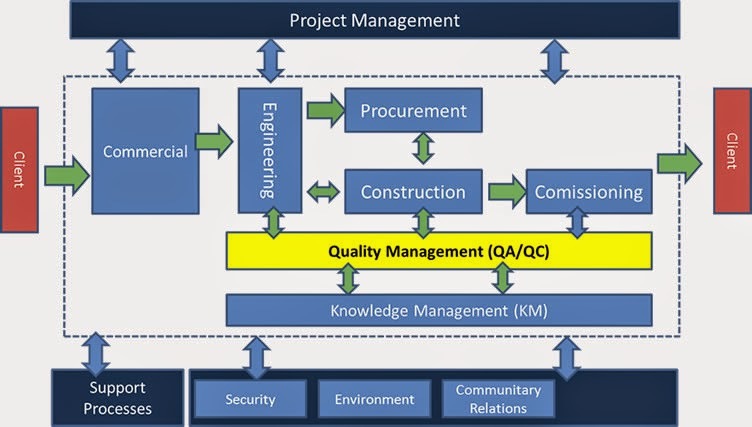 The Quality Management Strategy describes how the quality management systems of the participating organizations will be applied to the project and confirms any quality standards, procedures, techniques and tools that will be used. Where models and standards are to be tailored, the tailoring should also be outlined in the Quality Management Strategy for approval. The Quality Management Strategy also provides a means by which the levels of formality to be applied in the quality plans and controls can be scaled and agreed according to the particular needs of the project. It should outline the arrangements for quality assurance, including independent audits where these are required by the policies of the participating organizations. Key responsibilities for quality should be defined (both within and outside the project management team), including a summary of the approach to Project Assurance. Where there is already an established quality management system for projects, for example in a programme, only the measures specific to this project may need to be documented.The Quality Management Strategy is maintained, subject to change control, throughout the life of the project.